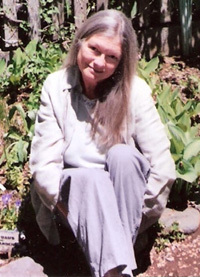 Entering 2014, author and publisher Lily G. Stephen sits alone, assisted only by universal wisdom and the light of truth. This advent also marks the 14th year of Blooming Rose Press and its publication of the Third Verse Trilogy. While the three books in print and on recording in Lily's voice continue to be distributed, two new titles have formulated and develop: Star Shining in Daytime, and The Scrolls of Branicor. Watch Latest News! We like to work with independent book shops in small-town environs and welcome contact from book shops, art galleries, gift stores and all venues for fiction that moves readers to broaden their perspectives - fiction for wisdom-seekers. 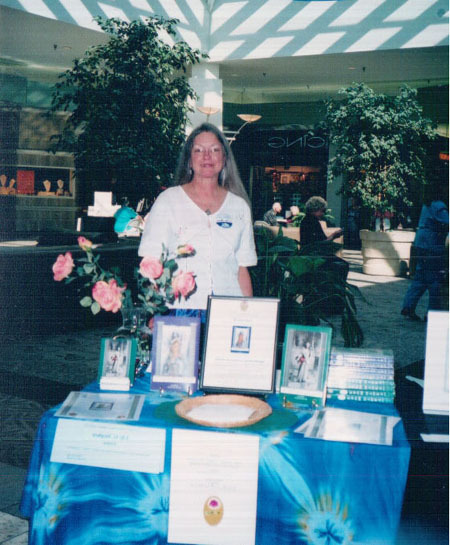 Blooming Rose Press invites inquiries for book-signing engagements and appearances. 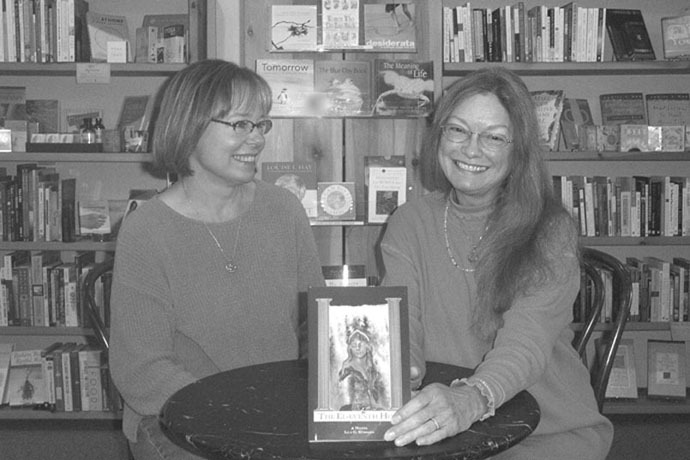 "Five local women authors will be staffing a 'Women With Wisdom' booth during Mount Shasta's Fourth of July street fair in the downtown area July 5 and 6." 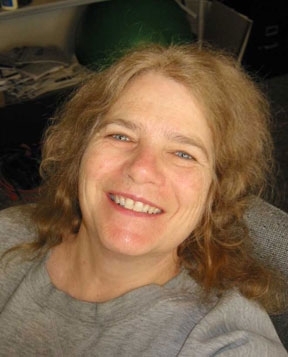 As Lily G. Stephen is quoted in the article accompanying the adjoining photo, "We're going to celebrate our work as writers...All of us have something unique to offer in the way of insight and perspective. 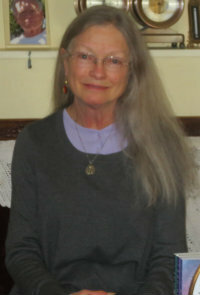 For me it has been the completion of a metaphysical trilogy. The literary work has been an opportunity for me to come to terms with being a storyteller and facilitating a vehicle for the sharing of higher wisdom." Lily G. Stephen and Maralee Lowder displayed their books at the McCloud Flea Market, June 1, 2008. Leanne is the creator of our book covers, and she formats our text. Magical results happen when we bring our ideas together into graphic visions. The Tenth Muse book cover was awarded a silver finalist honor by Publishers Marketing Association's Benjamin Franklin Book Awards, a national competition for excellence in publishing. 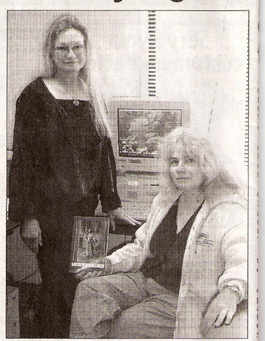 Author Lily G. Stephen and graphic artist Leanne Krause are recognized on May 1, 2002, in the Mount Shasta Herald. Photographer: Kathleen Kennedy. 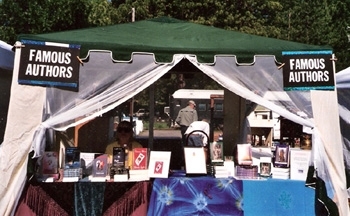 Blooming Rose Press exhibit at the first annual Northern California Authors Fair September 25, 2004.